The UN humanitarian affairs chief has said North Korea made progress against undernourishment since UN’s last visit to Pyongyang in 2011, but there was “still too much suffering”. Mark Lowcock, the UN humanitarian affairs chief, told Al Jazeera from Pyongyang that “some things have improved”. “The most recent data the UNICEF – the UN’s children’s agency – collected is [suggesting] that the stunting rate [among children] has fallen to 20 percent [from almost 30],” said Lowcock. About 10.6 million people among the country’s 25 million population need humanitarian assistance, the UN said, also noting “disparities” in access to basic health services between rural and urban areas. The UN earlier this year called for $111m in aid to help improve nutrition, health and sanitation in the North but the programme remains 90 percent underfunded. Lowcock also said that he had “good discussions” with the authorities in Pyongyang who were providing better access that they used to. Andrei Lankov, professor of Korean studies at Kookmin University in South Korea’s capital Seoul, told Al Jazeera that UN’s information was slightly inflated because North Korea was probably taking the inspectors to the worst hit areas on purpose. “The North Korean authority tends to exaggerate the food problem, because they are interested in getting as much food aid as possible,” he said. The problem is the backwardness of the country’s agriculture system, he said, but some progress has been made recently. 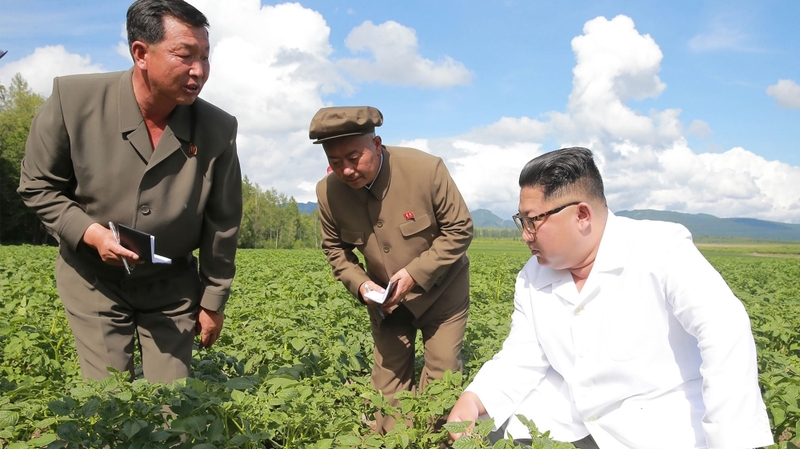 “Until recently, North Korea was not capable of producing enough food to meet even the most basic calorie requirement of its people,” Lankov said.